شبكة ضد الإلحاد Anti Atheism | Request to translate the books of Mirza Ghulam Ahmad Qadiani denied! عرض المقال :Request to translate the books of Mirza Ghulam Ahmad Qadiani denied! 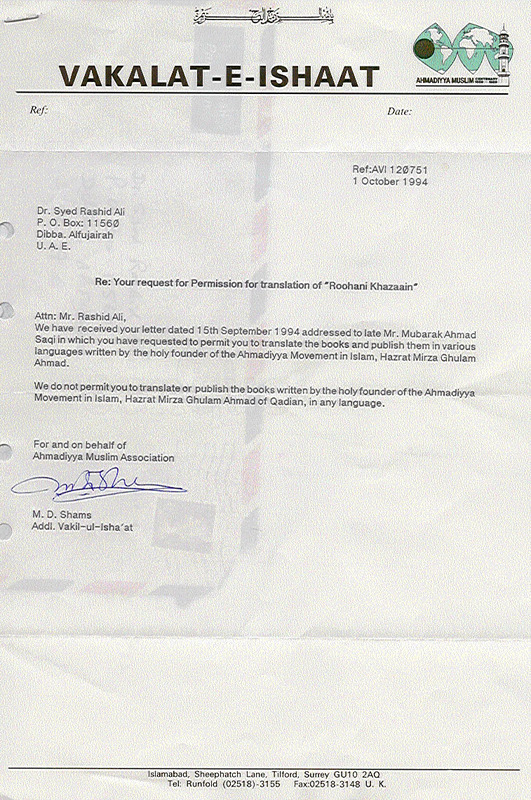 اسم المقال : Request to translate the books of Mirza Ghulam Ahmad Qadiani denied! 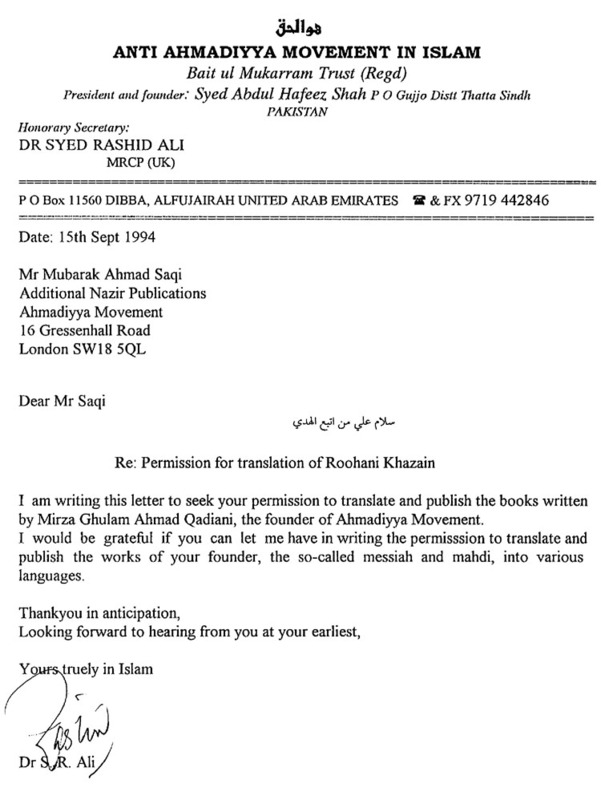 Request to translate the books of Mirza Ghulam Ahmad Qadiani denied! Does anyone hold copyrights over the religious books like Bible or Quran or Books of Traditions of Holy Prophet Muhammad SAAW or for that matter any other religious material? Well we also thought as much. However just to be on the safe side, we had sent a request to the Ahmadiyya Headquarter in London to translate the 'religious' work of Mirza Ghulam Ahmad Qadiani, the founder of Ahmadiyya Movement into various languages and publish them. Well! obviously I was wrong. One needs permission to translate the reloigious material. Or is it that Jama'at Ahmadiyya cannot afford an independent translated version of Mirza Ghulam's books?